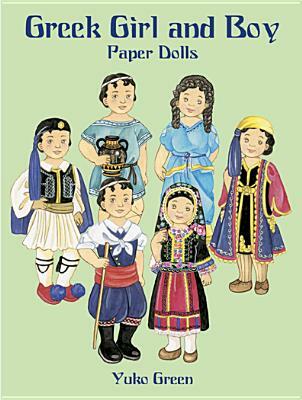 Accurately rendered collection of 29 authentic costumes and accessories for two dolls. Loose-flowing agbada gown for a Yoruba man, animal skins for a Luo warrior from Kenya, simply draped robes and striped shawls for a Masai man and woman, and more, plus fanciful headdresses, shields, drums, masks, and other tribal artifacts. 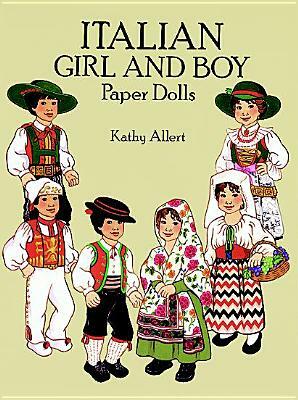 Description: Accurately rendered collection of 29 authentic costumes and accessories for two dolls. Loose-flowing agbada gown for a Yoruba man, animals skins for a Luo warrior from Kenya, simply draped robes and striped shawls for Masai man and woman, and much more, plus fanciful headdresses, shields, a decorative ceremonial sword, drums, masks, and other tribal artifacts. 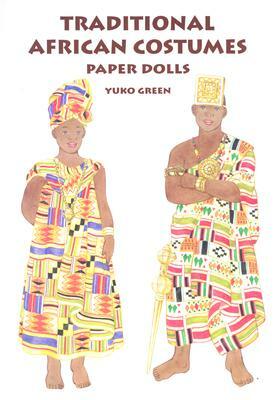 An exciting collection for classroom teachers, paper dolls fans, and admirers of African culture.